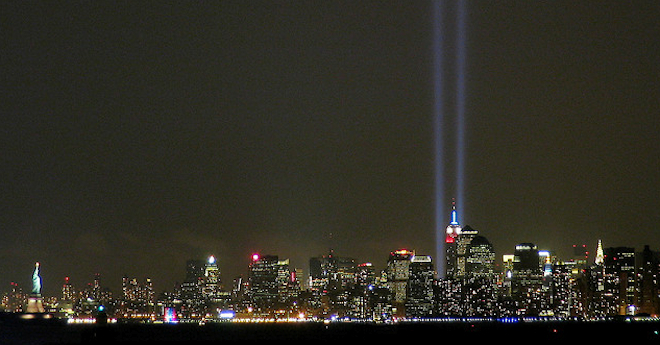 Today, of course, marks the 10th anniversary of the attack on the World Trade Center. Everyone old enough to remember it has a story of that day. Here’s mine: I was on my way to work as a newspaper reporter. I heard the news, turned my car around, gave my cat extra food, and picked up spare clothes and flat shoes. Later, I heard that two of my cousins, and two acquaintances, were missing. By dusk, I learned my cousins had walked across a bridge into Queens, part of an ash-covered tide of refugees. By midnight, I knew my acquaintances were dead. So let me tell you, instead, some other peoples’ stories of that day and what came after: the terrorism first, and then the fears of a bioterror attack to follow; the relief when no epidemic appeared, and then the sinking shock when it did. The disease detectives of the Centers for Disease Control and Prevention were at the center of that month of horror and confusion. Between now and Oct. 4, the 10th anniversary of the announcement of the anthrax attacks, I’ll run excerpts from Chapter 12 of my book Beating Back the Devil, about the disease detectives — the Epidemic Intelligence Service — of the CDC. When they had a chance to look back, everyone remembered that it had been a beautiful day. The sky was a pure blue arch, unmarred by cloud. It was warm — in Atlanta, early September is an extension of summer — but there was a cool breeze freshening. The trees were all green; only a few of the dogwoods showed a tinge of red along the edges of their leaves. All the way up the Eastern Seaboard, the weather was perfect. By the time the second tower collapsed, Hamilton had reached his fifth-floor office two buildings away to gather email addresses and phone numbers. What was unfolding was a national emergency. The EIS existed to serve in such emergencies. He was sure the group would be summoned to action — though, watching the endlessly replaying tape of the collapsing towers, he was not sure what they could do. Fourteen hours after the towers collapsed, at 2 a.m. on Sept. 12, Layton and her colleagues met to figure out how to detect a bioterror attack before it spawned an epidemic. They assumed it would come with a whimper, not a bang — not a hundred cases of disease in a single place, but a few patients in one emergency room and a single case in another, or in a doctor’s office, or in a street-corner clinic. Those were places that would have no connection to each other and would never recognize they were part of a brewing outbreak. Layton needed a way to identify those potential victims, no matter where they were in the city, as soon as they sought help. Next:The disease detectives fan out across the city, looking for signs of a covert attack.